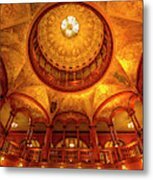 Gilded Age, Flagler College Rotunda, Saint Augustine, Florida is a photograph by Felix Lai which was uploaded on July 25th, 2016. 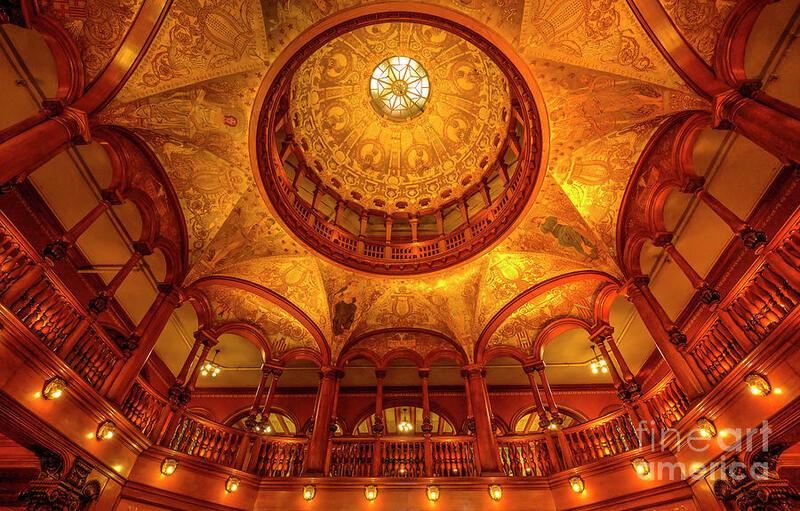 This photo captures the gilded beauty of Flagler College rotunda. Flagler College is a small private college in Saint Augustine, Florida. The centerpiece of the College is the former Hotel Ponce De Leon which was built in 1800s by Henry Flagler, a New York entrepreneur and cofounder of Standard Oil. Flagler College is a must see if you visit Saint Augustine. It has been ranked as one of the best looking college campuses in the United States! 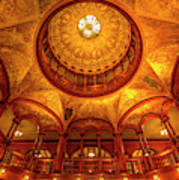 Flagler College is a private four-year liberal arts college in St. Augustine, Florida, United States. It was founded in 1968 and offers 29 majors and 34 minors. The college has been named by U.S. News & World Report as one of the "Best Regional Colleges in the South" (ranks #2 in 2018 and 2017) and in The Princeton Review "Best 380 Colleges. "Its 2015–16 tuition was $16,830 (excluding room and board) and its acceptance rate averages 40% of its annual applications. The college had an endowment of over $60 million as of April 2011. Founded in 1968, the campus comprises 19 acres (77,000 m2), the centerpiece of which is the Ponce de León Hotel, built in 1888 as a luxury hotel. The architects were John Carrere and Thomas Hastings, working for Henry Morrison Flagler, the industrialist, oil magnate and railroad pioneer. It is now listed on the National Register of Historic Places. Lawrence Lewis, Jr., was the driving force behind Flagler's development. It was his vision to create a small, private liberal arts college on the old hotel grounds. Lewis was Chairman of Flagler's Board of Trustees for more than 20 years, guiding the college through a reorganization in 1971. He directed millions of dollars through foundations, family and personal funds into new construction, restoration projects, endowment and various other programs to ensure Flager's continued success. Lewis was related to Henry Flagler through his mother, Louise Wise Lewis Francis, who was the niece of Mary Lily Kenan Flagler, who married Henry Flagler in 1901. * Copyright Felix Lai. Watermark will not appear on the final prints of the photograph. Superb image - excellent composition, wonderful warm tones, and terrific detail in this capture Felix!! L/F! This is ABSOLUTELY stunning with all the details and the composition. It is one of those images where you can spend hours just examining the details. Great capture; well done. Oh my gosh, breathtaking BEAUTIFUL!! Outstanding image, Felix! L/F!! Spectacular! I love the warm glow and such beauty. Love the gold and orange color tones! Excellent capture! Gorgeous capture~ love the rich golden tones! What a beautiful building...Great capture! I love all the detail and golden glow!